Usually, I struggle to climb even the smallest peak in Bev's Mount TBR Challenge, unable to read even 12 books from my ever-increasing book piles. But this year, I have (much to my own surprise) finished 30 books in all. And what gives me even greater pleasure is that the number of non-fictional reads is more than double the number of novels read. So, though I had signed up for Pike's Peak, I ended up conquering Mount Blanc. Yahoo!!! And for the first time, I am attempting "The Words to the Wise". 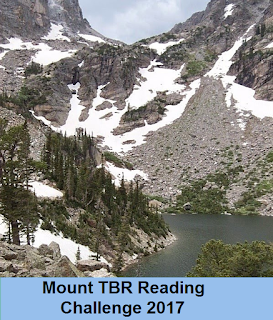 This is how Bev explains it: "The Words to the Wise According to Mount TBR: Using the titles of the books you read this year, see how many of the familiar proverbs and sayings below you can complete with a book read on your journey up the Mountain." Well done, Neeru! And I really like your creative way of completing those sayings. Thank you Margot, very kind of you. Neer, that is a very impressive list of nonfiction reads. Were all the books in English? Thanks Prashant. No, a majority of the Non-fictional reads were in Hindi. I don't know whether there is an elitist mindset behind it or not but I find that Indian English writers do not write about the revolutionary aspect of our freedom struggle. While I speak Hindi, I'm not good at reading in the language. So I prefer reading translated works. Yeah, this is pretty common, Prashant. Even I take longer to finish Hindi texts than the ones in English. Do you read Malayalam books? I have read a few in translation and so am very thankful to those who translate books.